Could you re-upload the FLAC on iFile.it? It would be safer to use a different file-hosting service, don’t you think? 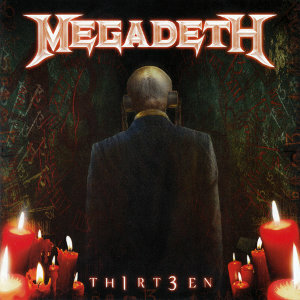 btw, “Th1rt3en” didn’t really live up to my expectations, decent album but nothing to really thrill me. What a shame. Does that mean you won’t be using them any longer? I just liked them because their free speeds are amazing. Hey, just a suggestion, but maybe name the file an arbitrary name or number instead of including the actual name when uploading would prevent the search-based deletions? Based on my experience, it seems to help. P.S. I totally agree with your assessment of this release. Seems like Mustaine is kind of just going through the motions on this one, definitely nothing new, but worth a listen. Hey thanks again for all your efforts! Thank you once again for your enthusiasm and effort. It’s been a while since I’ve accessed your database and every time I feel the urge to pickup and try! Thank you so much, can you guys start hosting on Mega?